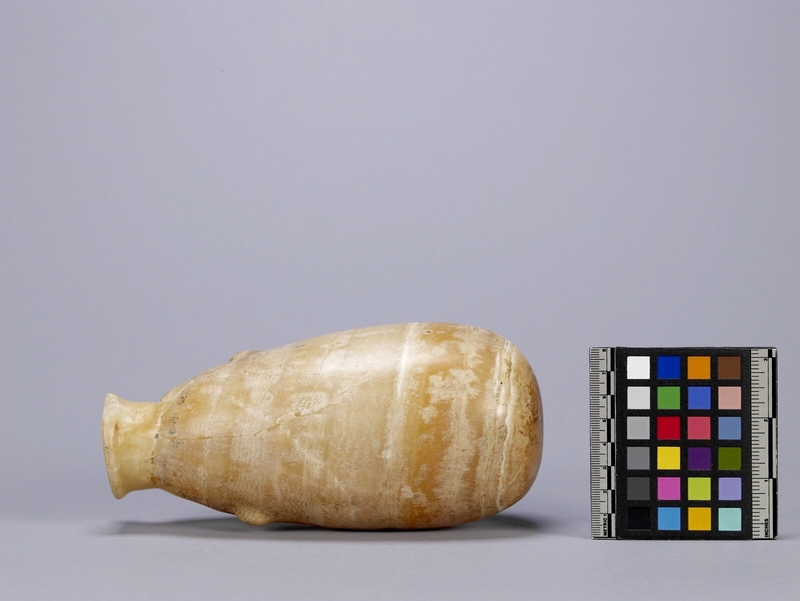 Item number M3.33 from the MOA: University of British Columbia. 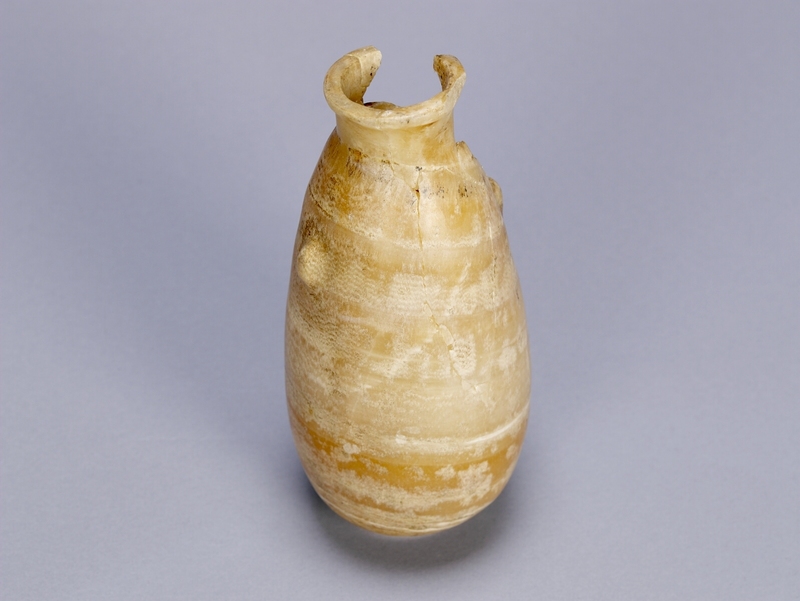 Conical shaped, cream stone jar with a rounded, flat bottom and narrow lipped opening. There are two oval shaped projections on either side. The jar has no decoration.